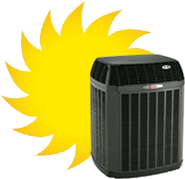 Here are a few things you need to know about your annual air conditioning tune-up service. Spring in March? 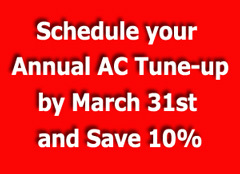 It's Time for your Annual Air Conditioning Tune-Up! Aaaah, Mother Nature, you tempt us early this year! Have you changed your Gas Furnace or Central Air Conditioning Filter? One of the most important items to remember if you have a warm air ducted system is that changing your furnace filters on a monthly basis, consistently, is a must! As local New Jersey HVAC Contractors, we're convinced that our warehouse would be overwhelmed if we lined up the dirty filters we've removed from our customer's systems! 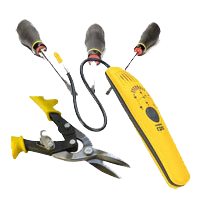 We strongly suggest that you make this small maintenance part of your monthly routine.